I believe in aliens, they exist. 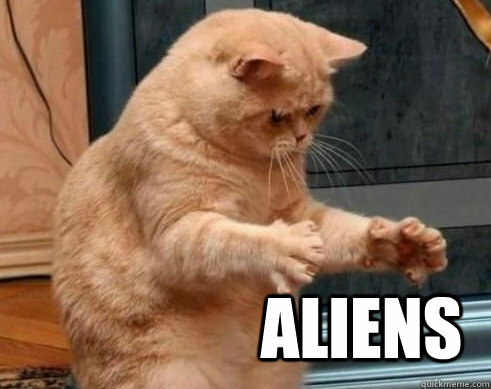 I still doubt about the existence of aliens, because there are still many people who do not believe about the existence of aliens. many people say it is a myth. I think that's all I know. The universe is so vast that I think the existence of aliens may be true .. but it also can not be sure of certainty ..
Aliens do not exist. There is no evidence until now. I believe in aliens but not completly. Actually, there is a lot of of evidence if you know where to look for? I am not believes in aliens.I think that's impossible..
Maybe but for me as long as their is no physical evidence or alive aliens walking in our planets its hard to believe. I think that we are not alone in our universe but also understand that probably we can be alone. We can't see science but it explains a lot. Math and physics are the key here not your eyes. If they're out there scientists and engineers will find them. I believe too. Because God created the universe. I am sure that He created not only us, maybe there is another Earth in some part of the galaxy. We never know. So I think we are not the only one living.
? intrachain ? Twitter ¦ Facebook ¦ Telegram ? intrachain ? I believe in aliens. and you?? Yeah it's possible that there are extra terrestrials or "aliens" in our vast universe. We can't say that we are the only living planet in this endless universe, so aliens could be real. N, because we have no evidence of alien life of any kind.